Is there really any point in HR taking hiring advice from the likes of Apple and Google? We can’t all be the popular kids in the playground and, unless your company oozes cool, you just won’t have the same pull factor. So how do organizations with less social standing get top quality candidates on board? 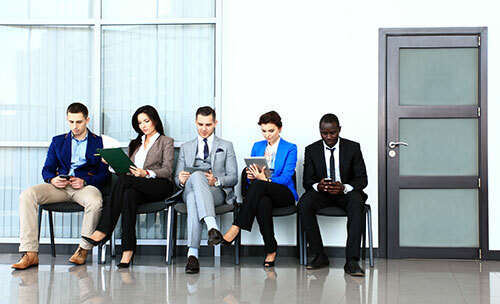 One HR expert says they need to adopt their own method of attracting applicants. If your company has an abundance of entry-level roles to fill it can be easy to focus on attracting younger applicants – but they’re not the only ones who want to get their foot on the ladder. If the poor reputation is an internal problem, don’t pretend everything is alright – says Lucas. “If your Glassdoor reviews point out problems, you need to investigate and deal with them,” she says. “When you bring in candidates for an interview, assume that they have seen the reviews, and if you don't address the issues, you'll find it difficult to hire people. Instead, she suggests bringing issues up at the offset and sharing exactly how you plan to resolve them. So your company isn’t the coolest – accept it and play to your strengths, says Lucas. If there are things that pull down your appeal, get them out in the open because there’s no point bringing someone on board under false pretences.